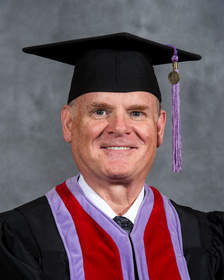 SOURCE: Millennium Dental Technologies Inc.
SAN FRANCISCO, CA--(Marketwire - Feb 25, 2013) - Delwin K. McCarthy, DDS, co-innovator of the LANAP® protocol and chief technical officer at dental laser manufacturer, Millennium Dental Technologies, was inducted as a Fellow into the American College of Dentists at the organization's recent convocation in San Francisco. Every year, the American College of Dentists inducts approximately 300 new Fellows-members of the dental community who have exhibited leadership and "exceptional contributions to dentistry and society." The organization's rigorous selection process utilizes a well established, confidential peer-review system evaluating professional and community leadership positions, contributions and credentials. "The American College of Dentists is a highly respected organization, and I'm honored to be part of such a distinguished group of dental professionals," says McCarthy. "The designation positively reflects the relevance and importance of the contributions made at Millennium Dental Technologies for nearly two decades." Fellowship in the American College of Dentists is an esteemed industry honor bestowed upon only about 3.5% of dentists in the country, based on demonstrated leadership and contributions to the dental profession and society as a whole. A co-developer and patent holder of the LANAP® protocol, a gum surgery alternative for periodontal disease, McCarthy is a former faculty member at UCLA School of Dentistry's Advanced Education in General Dentistry residency program and a key speaker at domestic and international dental conferences. He is a recognized authority in the field of laser dentistry, as he created the bylaws for the original Academy of Laser Dentistry and is co-developer of both editions of the Laser Curriculum Guidelines. He is co-innovator of the FDA-cleared PerioLase® MVP-7™ pulsed Nd:YAG laser, co-founder of Millennium Dental Technologies, and the vice president of the Institute for Advanced Laser Dentistry. Headquartered in Cerritos, Calif., Millennium Dental Technologies, Inc. is the developer of the LANAP® protocol for the treatment of gum disease and the manufacturer of the PerioLase® MVP-7™ digital dental laser. By providing a less destructive and more tissue-sparing experience with unique bone-building clinical results, MDT's FDA-cleared LANAP protocol removes the fear from gum disease treatment, offering a vastly less painful and less invasive regenerative treatment alternative to conventional scalpel/suture flap surgery. The PerioLase® MVP-7™ is a 6-watt free-running variable pulsed Nd:YAG dental laser featuring digital technology and 7 pulse durations -- the most available on the market -- giving it the power and versatility to perform a wide range of soft- and hard-tissue laser procedures and the only laser properly configured to support the LANAP protocol for all periodontal case types. Established in 1990, the company's founding clinicians, Robert H. Gregg, II, DDS, and Delwin K. McCarthy, DDS, continue to operate the company with a shared vision and purpose: To create better clinical outcomes in patients with periodontal disease -- and to remain true to the guiding principle -- "It's all about the patient." For more information, visit www.LANAP.com. About this company Millennium Dental Technologies Inc.
Delwin K. McCarthy, DDS; co-innovator of the LANAP(R) protocol, chief technology officer at Millennium Dental Technologies Inc., and vice president of the Institute for Advanced Laser Dentistry.